I wish that I had a picture of these babies the second they came out of the oven. They puffed up so pretty in the oven! Almost like a souffle. Unfortunately, by the time I got them arranged on my table setting, they had fallen. 🙁 Oh well, they tasted awesome anyway! Like crazy awesome. I mean come on, it’s eggs with lots of melty cheese, salty bacon, and a hint of oniony flavor. 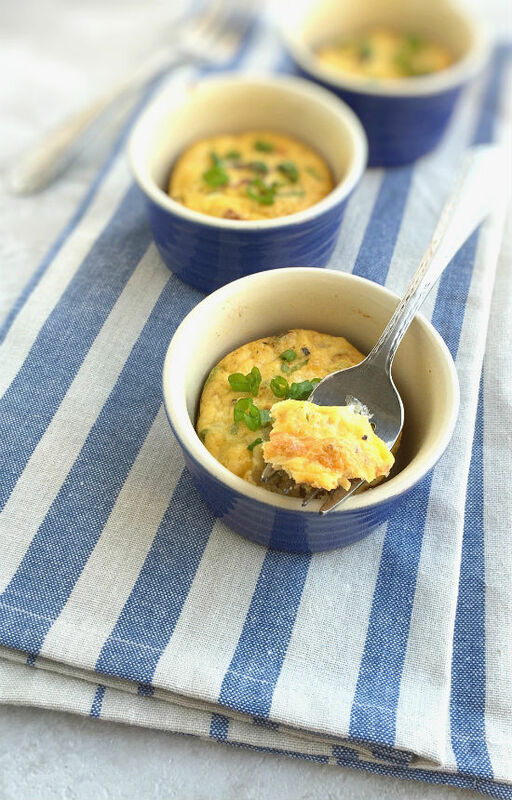 These Baked Eggs with Mozzarella and Bacon are definitely a fabulous way to start your day. You should definitely think about making these this weekend! I might just make them again myself. 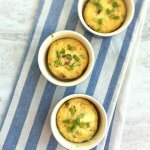 They were a huge hit with my husband, so that means they will be on the breakfast rotation again. They are not only delicious, but make for a pretty presentation when serving. I only have four ramekins, but if you happen to have more, you could double the recipe. 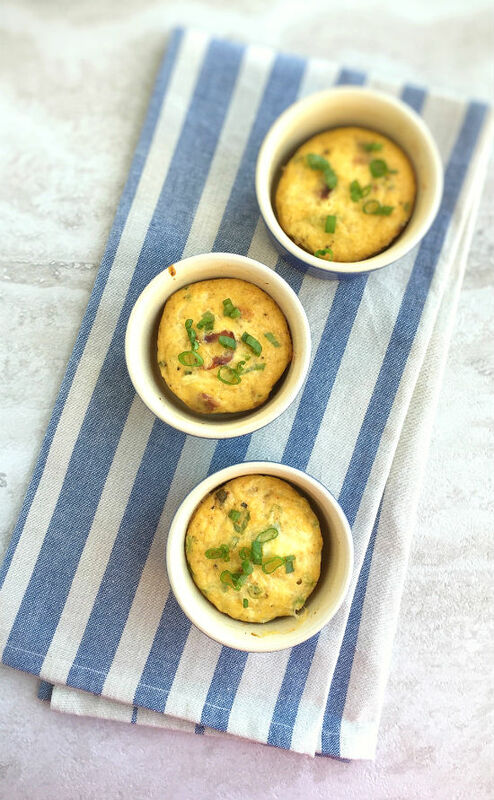 These would be great to serve at a brunch or family breakfast. Everyone gets their own little dish, so it feels more special. Preheat oven to 375° F. Grease four (6 oz) ramekins with softened butter. While the oven is preheating, cook the bacon according to package directions until crispy. Place onto a paper towel line plate to let cool enough to handle, then crumble into small pieces. While that cools, crack 3 eggs into a 2-cup measuring cup. Add the greek yogurt and lightly beat together until combined. Stir in the cheese, crumbled bacon, scallions, smoked paprika and pepper and mix until combined. Distribute the egg mixture evenly among the ramekins, place into the oven and let bake until the eggs have set, about 25-30 minutes.